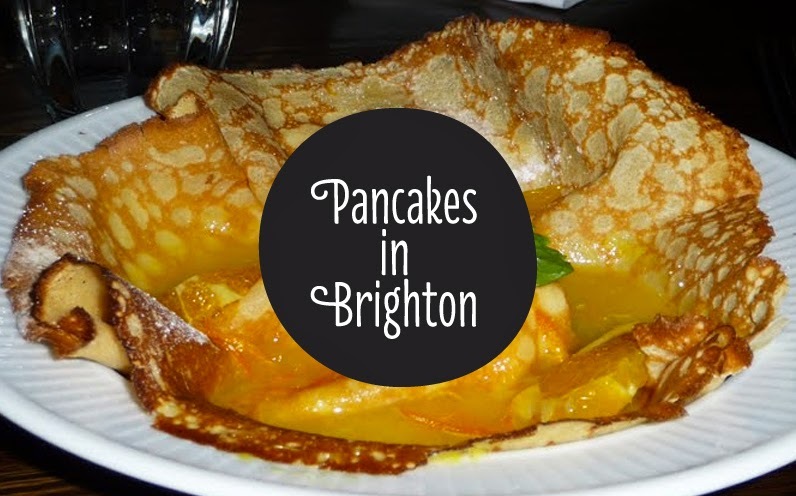 Pancake day, Shrove Tuesday, Fat Tuesday, Martedi Grasso, Jif Lemon day...whatever you call it, you'll find some great options from Brighton's restaurant and pubs on the day. Here is my selection. Launching this Shrove Tuesday is Brighton's only creperie from yet another ex-Food For Friends. If the crepes are as good as the design and website then this place is going to be one hot little ticket. They are giving away 1000 pancakes from 8am to celebrate their first day. Really like the look of this place and I'll be following up with a review soon. I expected 64 Degrees to have something up their sleeve for Tuesday but they are keeping it a surprise. The only given is it will be the most inventive pancake of your life. Word. The Coal Shed's pancake is my sort of pancake. Brown Butter Parfait, Chocolate Sorbet, Roasted Hazelnuts & Frangelico (available lunch only as closed for private hire pm). All of the Gingerman pubs will have a crepe special on the night. To give you an idea, The Ginger Pig will be serving banana and white chocolate parfait wrapped in a buttermilk crepe. Always reliable for those requiring vegan and gluten free options, Terre a Terre are offering Scotch pancakes with spice rum soaked sultanas, molasses banana fritters and coconut rum ice. And also as expected from them, the dish has a name..."Shrove Actually"! Sam's will be doing a classic creamy seafood pancake and even more classic lemon and sugar versions too. Keeping with the community pub vibe, The Brunswick Kitchen will be giving free pancakes to the kids! Just because they are lovely. local milk, eggs and organic flour from our newest independent supermarket, Hisbe. Pancakes are just 50p too - bargain.